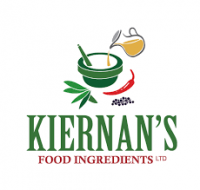 Kiernan's Food Ingredients are a continuously advancing, family run enterprise with a tradition that dates back more than 30 years. To this day, they continue to abide by the same policies: "To furnish our customers with knowledge and know-how and to help them develop products to expand and diversify within their own business". Kiernan's partner with companies from across the globe to bring one of the largest and most innovative portfolios of products available, where all relevant standards are not just met but in many cases surpassed. Through wholehearted commitment by one and all, the company is endeavouring to become market leaders by excelling in product quality, technical advice and service to their customers. Consistent with this ambition, Kiernan's work closely with healthpro to support the nutritional and allergen optimisation and labelling of products within their "Select Choice Meal" offerings.